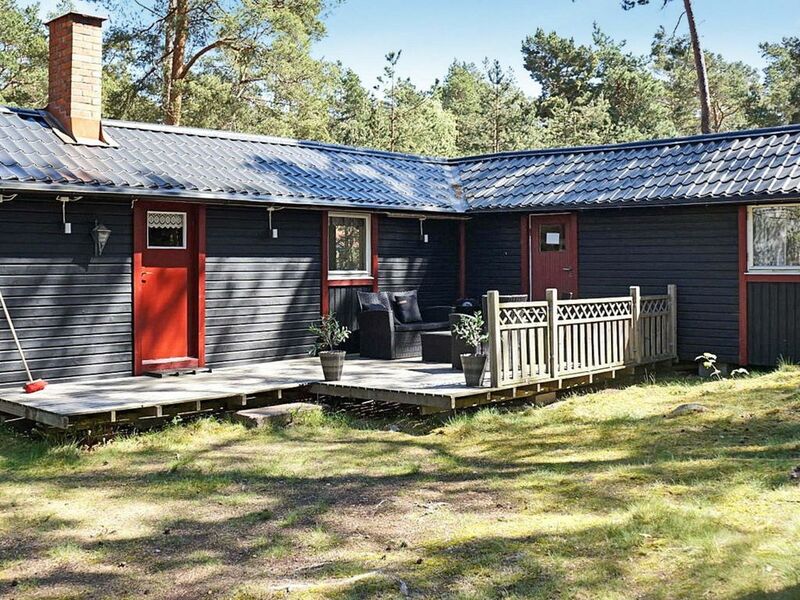 200 m from the sea on beautiful Oknö Island outside of Mönsterås. Rustic house on charming nature plot with leafy trees and open spaces. Open floor plan, minimalist and homey. Large bedroom with 4 beds and large lovely terrace with cozy furniture and grill. Lots of beaches are close by, and Oknö offers playgrounds, café, restaurant, miniature golf and boat rentals. A gorgeous walking trail around the water front is close to the house. Everything you need such as grocery stores, tourist information, shops, and restaurants can be found in Mönsterås. Ferry to Öland or Kalmar, the Glass Kingdom is within reach.